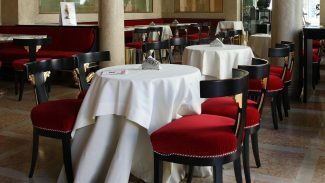 Accompany Rudy to the 18th Century Pedrocchi Cafe, Padua’s most elegant cafe where French writer Stendahl visited to work his craft. Explore Scrovegni Chapel with its frescoes by Giotto, artwork that led the way to the Renaissance. Visitors are allowed fifteen minutes in the chapel, and reservations are required.